"Why didn't your mother stop by?" I can still remember the seemingly innocuous phone conversation I had with my grandmother, Nana, in late June of 2010. She had called me to ask why my mom hadn't visited in several days. I thought it was odd, as Mom had stopped by the night before. I mentioned this to Nana, and that is when the conversation went downhill. "No she didn't. She has no time for me anymore." "Nana, don't you remember? She stopped by with Danny, Jack's brother." She seemed perplexed by this, and I could tell she vaguely remembered. "Well, now the house is changing size." My stomach sank, as I questioned her more in-depth about what was going on. It became clear to me that she wasn't okay, even though her words were coming out fine. The word "stroke" was emerging in the back of my mind, and I knew I needed to get Nana help as soon as possible. I'm not sure when the first stroke happened to her, whether it was right before the phone call or sometime the day before. She went to the hospital, where she had several more small strokes, leaving her more confused and unable to use parts of her body. A few days later, more strokes came, these more detrimental. When we came to see her, she couldn't speak and didn't seem to know who we were. My heart was ripped to pieces, as it was clear that not only was she confused, but scared. She tried to pull out her IV's, so she had to be strapped down. I felt helpless, watching her fall deeper into herself. A few weeks later, my Nana passed away from the complications from her stroke. Between my grandmother and my husband's grandfather, I have watched strokes happen in real life, first hand. It is terrifying, and there is a race against time to get them help. Strokes are the fifth leading cause of death and the leading preventable case of disability in the US? Each year, about 800,000 Americans suffer a new or recurrent stroke. Furthermore, someone in the world has a stroke every 2 seconds. 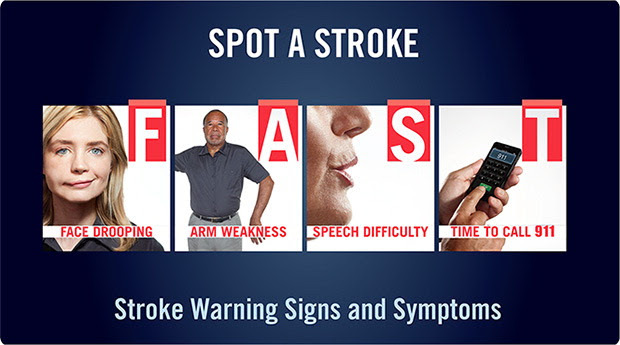 And while 1 in 6 people will have a stroke in their lifetime, 1 in 3 Americans cannot name at least one sign of stroke. That is why it is SO IMPORTANT that we educated ourselves on the signs and symptoms of strokes, and how to act when we see a stroke happening. F - Face Drooping. Does one side of the face droop or is it numb? Ask the person to smile. A - Arm Weakness. Is one arm weak or numb? Ask the person to raise both arms. Does one arm drift downward? S - Speech Difficulty. Is speech slurred? Are they unable to speak, or are they hard to understand? Ask the person to repeat a simple sentence like: “The sky is blue.” Is the sentence repeated correctly? T- Time to call 9-1-1. If the person shows any of these symptoms, even if the symptoms go away, call 9-1-1 and get them to the hospital immediately. 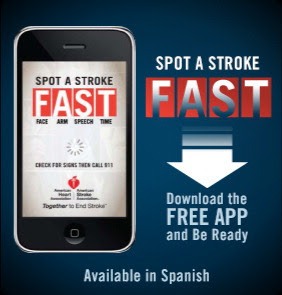 You can also download the FREE F.A.S.T stroke app. To learn more, join today's World Stroke Day #StrokeChat. It will be hosted by @iHeartRadio today, 10/29, at 12pm CT. The hashtag is #StrokeChat. Spread the word. Educate yourself. 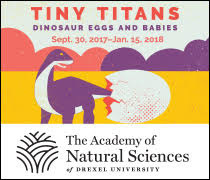 And ACT.